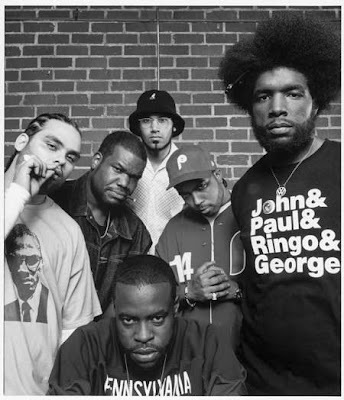 The Roots are a group that will forever have my respect for making this video. At the height of the bling bling era the Philly group reminded us all thats its nothing more than smoke and mirrors. It's not just that though. In a time when every 'big time' artist was using nothing more than a backing tape and a hype man, The Roots kept it real by playing shows with a full band. For their new cut, How I Got Over You (we brought you the single back in January), they've sampled Joanna Newsom's ''Book Of Right On'', which you'll know has also been covered by Oxford trio Trophy Wife (with whom we did a feature with just last week, click here to view that if you missed it). Both very different, both VERY good.